Thanks to Teacher Finder expanding to new locations, we are also increasing the selection of languages our teachers offer lessons for. With Italian culture and cuisine being one of the most influential and respected in the world, the Italian language was a natural choice to add to our menu. In our blog, we have previously covered how hard (or easy) it might be for a beginner to learn Spanish, English, and German, and now it’s time for Italian. So, if you’re thinking of starting your Italian lessons, you can find out how much of a struggle you can expect. We’ve covered this topic before, but there is an issue you can’t get around when starting to learn a language – and that is coming up with the right incentives. Finding the right reasons for learning any language is an important first step. It might as simple as enjoying your target language’s culture and wanting to get an insider view into the country, or perhaps you’re thinking of moving or retiring there. In any case, it’s important to start by making sure you yourself understand why you’re starting your language learning project. If you’re still struggling to make up your mind, you can find 10 excellent reasons to learn a language here. Finding a good incentive to learn Italian will make everything following a lot easier. Italian belongs to the Romance language group (by comparison, English is in the Germanic group) and is spoken widely throughout Southern and Central Europe. It is an official language in several European countries, OSCE, and the Holy See, serving as the language of communication in the Catholic hierarchy. There are also vibrant Italian communities in many of the major cities in the Western Hemisphere. It is estimated that Italian is spoken by 85 million speakers worldwide. This can hardly be considered a fact, but Italian is also thought to be one of the most beautiful and influential languages in the world. It is used for the official terminology in music and has a great impact on art and culture in general. 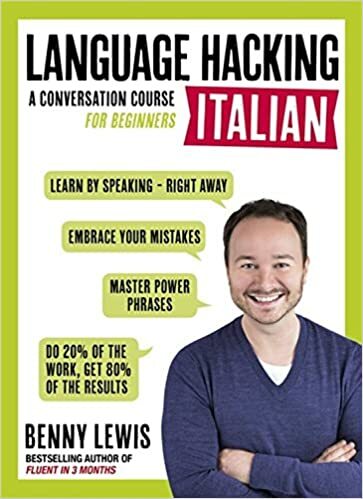 The Foreign Service Institute (the American guys who train diplomats) has estimated that it might take a person 575-600 hours to become “professionally proficient” in Italian. Although personal results may vary, that is still good news since it means that Italian is one of the easiest languages for a native English speaker to learn. Another good news is that Italian is closely related to other major European languages (Spanish, Portuguese, and French are also Romance languages), so that if you have had contact with any of those before, you’ll be able to grasp the basics of Italian a lot easier. But don’t despair even if you haven’t! – Europe is a small place and languages with long and expansive histories (like the Roman Empire) have had an impact on most regions. Most likely, your own native language will have been influenced by Italian as well, so that when you start learning Italian, you will find a lot of familiar aspects. Jump right to the speaking part. Let’s keep the good news going and focus on why Italian is an easy language to learn. Unlike English, Italian is a phonetic language. That means that you can tell the way a word is pronounced by the way it’s written (compare with English “tough” and “through”). Italian also uses an only 21-letter alphabet. Although there are differences in pronunciation (as there are in every language), Italian follows rather strict rules and once you learn those, you’ll find reading Italian easy. It also follows a similar grammatical structure as other Romance languages – all Italian nouns have genders (feminine, masculine or neutral) and it features similar word order as, for example, Spanish or French. Verbs seem to be the issue most beginners struggle with. There are a high number of irregular or semi-regular verbs that don’t behave according to rules. And even the ones that do can be confusing since there are three different conjugation groups (ending in –are, -ere, ¬-ire) and they change their form according to person, tense, mood, etc. Even here, there is a silver lining. Although Italian verbs might seem like a headache at first, the language still has fewer verb forms than French or Spanish. Italian is a great choice for a beginner language learner – its popularity and historical influence on other languages mean that most likely you will find something familiar in Italian regardless of your native language. 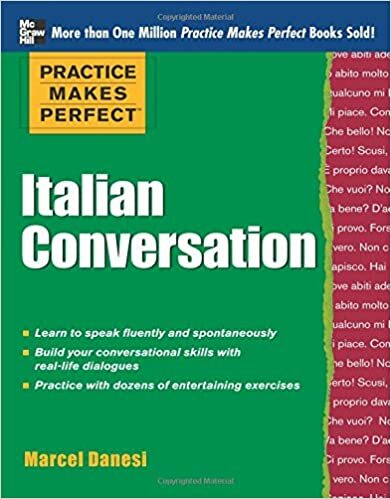 It has fewer difficult verb forms than other languages in the Romance group and provides great incentives for learning since Italian has been the go-to language for countless composers, writers, and poets throughout centuries. 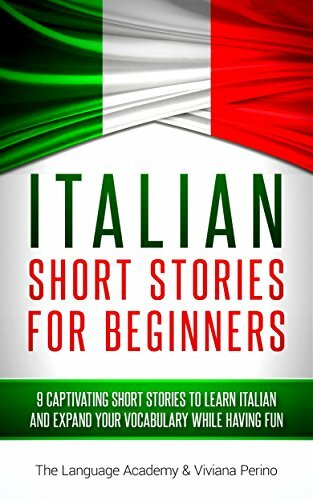 9 short stories to help you learn Italian. 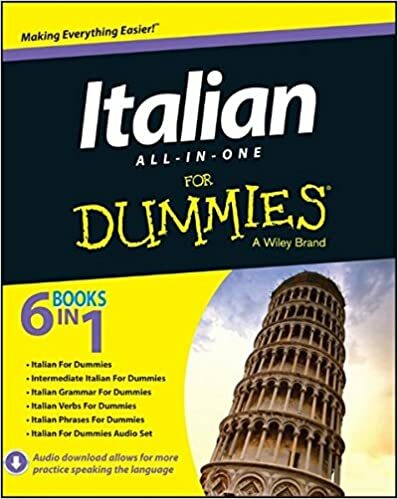 A guide to mastering the Italian language.